We are pleased to announce that Dr Berit Heir Bunkan, who was knighted by the King of Norway (2004) for her work, will be making a rare visit to London. This course is an introduction to the Braatøy and Bülow-Hansen body psychotherapy (BBT), which integrates therapy of body and mind. The development of the therapy began in the late 1940s. This started as an interest group in the early 1960s and is now an academic course at university and university college level which leads to a Masters degree in Norway. The Braatøy and Bülow-Hansen therapy has been validated in the published literature and by patients during a period of 60 years. Dr Berit Bunkan has made the art of observation a science. For decades, this art of observation has been regularly used by Body-Psychotherapists. 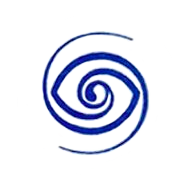 Dr Bunkan made it an accessible science for psychotherapists, psychoanalysts, medical doctors, psychiatrists, psychologists, massage therapists, teachers and other professionals to use in order to enhance their art of observation of people, in an accurate and detailed manner. She has published numerous scientific articles and five text books in Norwegian and English. Berit Bunkan studied physiotherapy (1949) and psychology (1977). She studied at the same time as Gerda Boyesen, from Aadel Bülow-Hansens and the psychiatrist, Dr Trygve Braatøy. 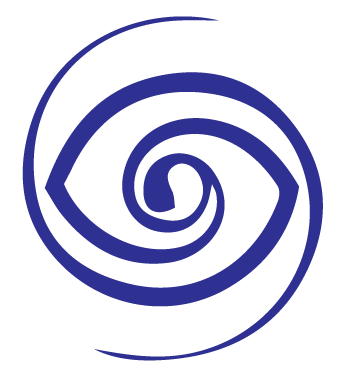 Braatøy and Bülow-Hansen therapy is a powerful technique that involves observation and treatment which lets people experience getting in contact with their inner truth, internal self-organization and their self-leadership. Gerda Boyesen, the founder of Biodynamic Psychology, continued to develop the method until 2003, calling it Deep Draining. The fully developed format of the method is now taught at the Centre for Biodynamic Psychotherapy (CBP), London School for Biodynamic Psychotherapy (LSBP). In parallel, Dr Berit Bunkan continued to teach and developed the Braatøy and Bülow-Hansen therapy at Oslo University, Norway, completing her PhD at Oslo University (2003) and her subsequent research, which focused on a scientific approach to the methods of dynamic observation of humans as living phenomena. This assessment method can enable professional people to see objectively how the trauma may be locked in the body posture, breathing patterns, consistency of muscles, capacity to move (mobility) and changes to the skin. It provides an assessment method that can enhance the capacity to work with clients and patients, consistently and systematically, to support their psychotherapeutic processes. This one day workshop is an introduction to Norwegian Psychomotor Physiotherapy (NPMP). It aims to show what can be observed, and how to see objectively what there is to see: data and information that many people usually miss if they are not trained to see it. Moreover, it offers a deeper understanding of how body and mind are interwoven, starting at the golden age of Body-psychotherapy in Oslo, following through the path • From Wilhelm Reich to Trygve Braatøy and Aadel BülowHansens-tradition in Norway (Norwegian tekst).